Mr. N. M. P. (Zambia), 2019/04/17 New! I am writing to inform you that my ordered vehicle arrived safely and its in my custody. I would like to thank each and every person who was involved in the procurement of this vehicle. You all showed the highest level of efficiency in handling this matter. The Truck is in good shape just as I saw it on your website and I am very happy. All the accompanying accessories are intact. You are the best. Continue sourcing good vehicles for your customers and we shall always be coming back to you for more purchases and recommendation to other people. Mr. U. P. (Netherlands (Bonaire)), 2019/04/16 New! I got my car and very happy with it and I think I want one more for my wife. Let me know if you have one more about the same: Make, year, kilometers and price. 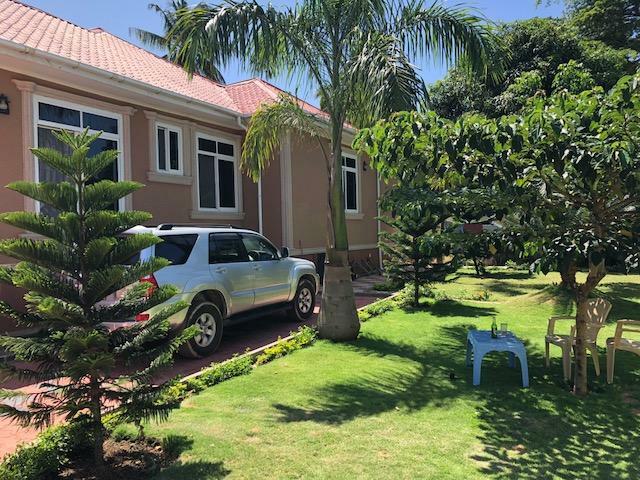 Mr. A. l. M. (Zambia), 2019/04/16 New! 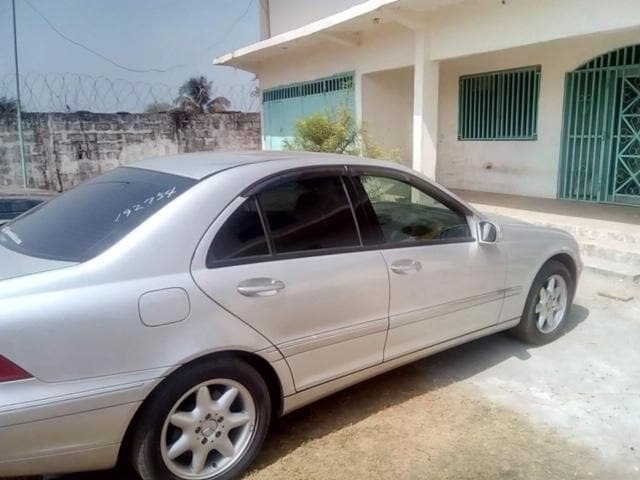 I wish to inform you that l received my vehicle in February 2019, though it took long to reach me finally in Livingstone. One factor was that l was still learning how to drive. I am now driving. I am so happy and excited with vehicle. It is nice and in good condition. I am so grateful for your satisfying services. I will definitely recommend you to my friends for such a reliable services. vehicle is shipped to me safely. Warm greetings from the rainy Uganda! Am pleased to inform you that i received my Toyota Prado Land cruiser in a very excellent condition. The car looks brand new and i have been told by my friends that you could have forgotten and sent me a new car instead of a used car. Any how, am proud of your company and i will continue to transact business with you. Just wanted to let you know that I have received the vehicle on Thursday last week March 21st in good condition. Thank you so very much for all your help and support. 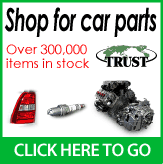 I will be certain to check you site again if and when I am in need of another vehicle and will certainly recommend to others. 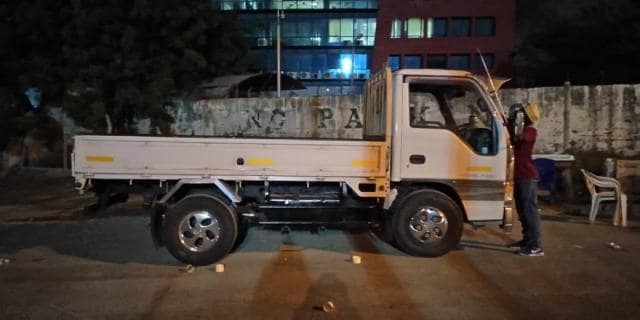 We have received our vehicle in perfect condition. Thank you very much. This is to confirm that I have received the back view camera, thank you very much. I really appreciate the level of customer service that I have received from all of you. 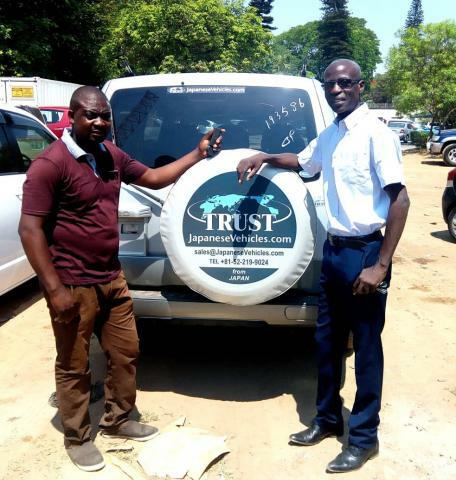 Momo: you guys provides a great service, the customer care is super, the quality of car is super excellent and for sure has exceeded my expectations, when you say top quality you real mean it. I will take a photo tomorrow morning with my Prado for you to see how happy I am. "Hai Mickael. I do confirm that I received my Isuzu Truck in a good condition. Thanks so much for helping me to choose this Truck"
"Hello. I have received the vehicle in perfect condition. Thank you very much. Will call again"
Just wanted to say thank you so much for being so helpful and kind to me in the process of purchasing our new van! My brother, Anthony, & I very pleased with it to say the least!! I am sending you pics of our truck fully licensed and on the road! It rides very nicely as I have also driven it. I just wanted to reach out to you to thank you and continue to do the great work you have been doing. Have a good evening and many blessings on you! 2.At this end in Dar, Urio Obed facilitated the movement of the car through TRA and the registration process quickly. On his advice I paid the taxes and port charges while the car was at sea. 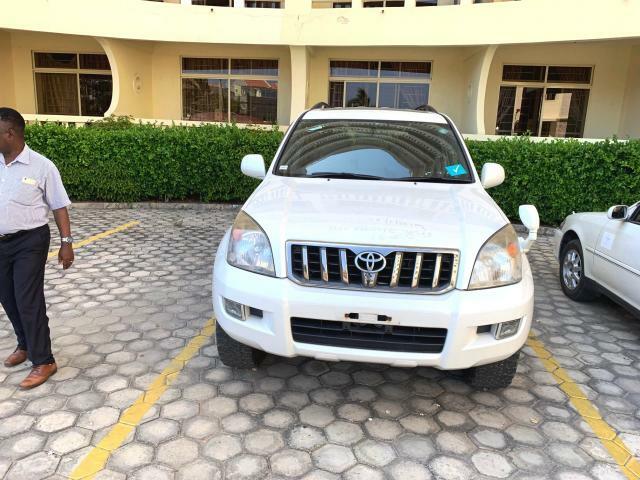 As a result I received the car 5 days after the ship docked in port in Dar Es Salaam. The ship arrived on Sunday 27 Jan 2019. 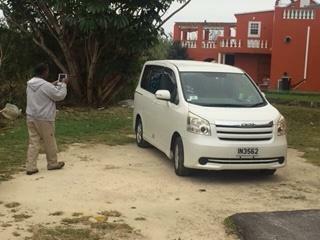 The car was out of port and delivered to me (as seen in the photos) by Thursday 31 Jan. Excellent. 3.The car is in great condition. I have one regret: I think should have paid the extra $650 and installed a new in-car audio system in Japan. I’ve now had to do that in Dar, and I am certain that I would have got a better system (set in the English language) if I had added that to my original order with you. Anyway, all in all, I a, very happy with your service. Thank you very much again. 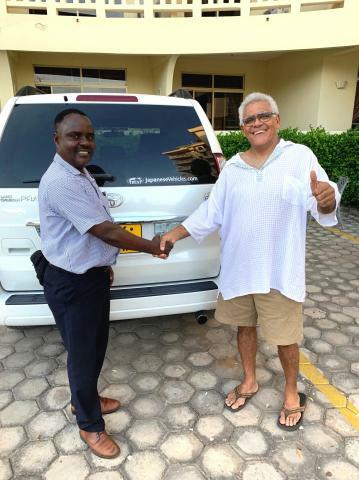 THIS IS G.P WHO PURCHASED A WHITE TOYOTA VITZ 2009 FROM YOUR COMPANY. 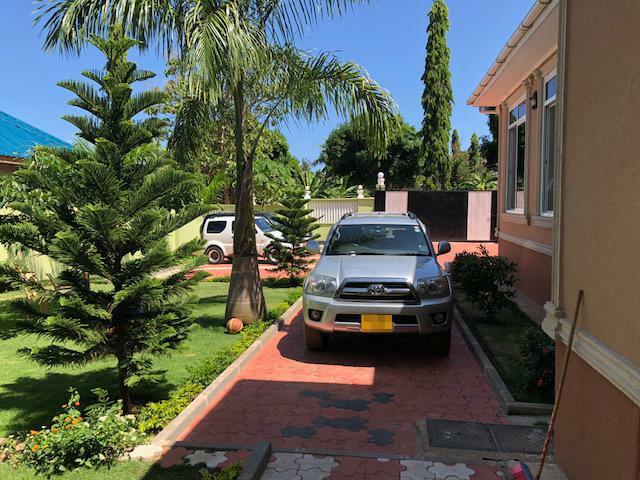 I AM VERY SATISFIED WITH THE PURCHASE, THE VEHICLE CAME IN GOOD WORKING CONDITION AND WHAT I SAW ON THE WEBSITE WAS WHAT I EXPECTED ON THE CASTRIES PORT. I write this msg to let you know that i have received the vehicle already on 21 November 2018 in a very good conditions! sincerely it is good! You really sell vehicles with good standard. secondary, i thank u for much for ur activeness in doing business, updating customers at any early stage ! time of delivery since payment was too short ! i will always feel proud of you Trust company Japan. 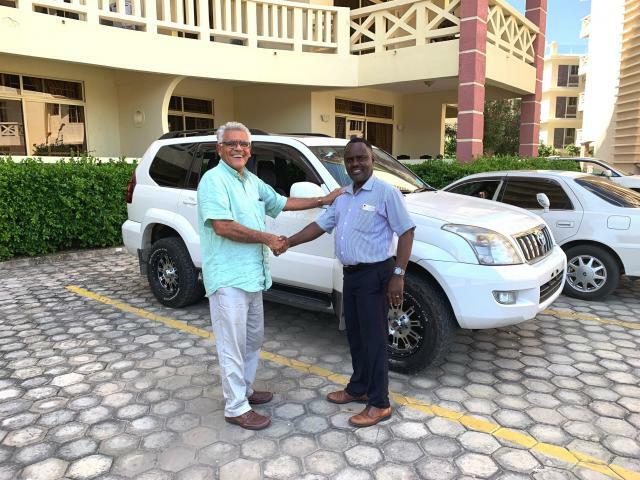 Handing over the vehicle to Mr. M. Very happy with the Vehicle.